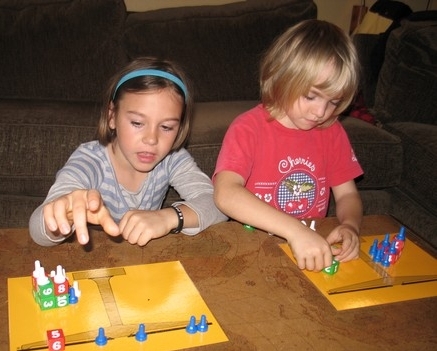 exploring and enjoying math in a dynamic and holistic manner, for all ages. I want to build a bridge. I'd like to close the gap between math and history, science, literature and humanity created by the isolated way we traditionally approach math education. In teaching my own children, tutoring and furthering my own self education, I've seen the results of early exposure to realmathematics in natural settings, without requiring mastery of arithmetic on a set timetable - this has been a key to the ease with which my kids attain mastery when the time is right for them. I've also found that math literature and history humanizes math, makes it come alive, and provides a context to enjoy and retain learning. Patricia Kenschaft of Math Power refers to a goal of preserving the "rage for learning" that every child has inside of them. I believe that the way we isolate mathematics learning with the contrived, unrealistically applied arithmetic our children are traditionally taught, without real context and the human drama that created it, has caused much of the math phobias and illiteracy ("innumeracy" to use John Paulos' term) our generation of educators, whether in home or classroom, experienced and pass on, as they know nothing else. http://groups.yahoo.com/group/LivingMathForum/ Dedicated solely to discussion related to living math and science methods and materials. See Articles for some topics. The Forum concentrates discussion related to non-traditional math methods and resources in one location. The archives are extensive and searchable by key words. You may join via the web address, or send a blank email to LivingMathForum-subscribe@yahoogroups.com and respond with a brief description of your purpose for joining. Book Recommendations: I am an unabashed book junkie, as you can see from my Math Reader Listings. I encourage you to use your local library, but if you decide to build a home library, using my links supports this site, and allows me to preview more books for you :o). I also review new listings on Bookcloseouts periodically on the LivingMathForum list. Family Math History course: A series of lesson plans with materials for all ages are being developed. These lessons have been used in our homeschool and cooperative classes. It is currently being published via .pdf file with notifications via email as additions are published. The material will eventually be incorporated in a 2 to 4 year guide for those wishing to apply this approach to their homeschool or group learning experiences. More info. Check back frequently to review additions to the site. Feel free to email me with comments and contributions as I build this site. This site is being developed on "Mommy Time"
We've chosen to keep this site uncluttered, free of pop-ups and paid advertising. 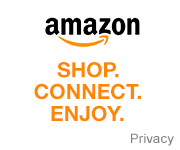 Consider shopping at Amazon, entering the store through our affiliate links to support this website, or purchase lesson plans. Enter Amazon through this link. Living Math wouldn't be what it is today without these kiddos. Julie Brennan with her girls today.